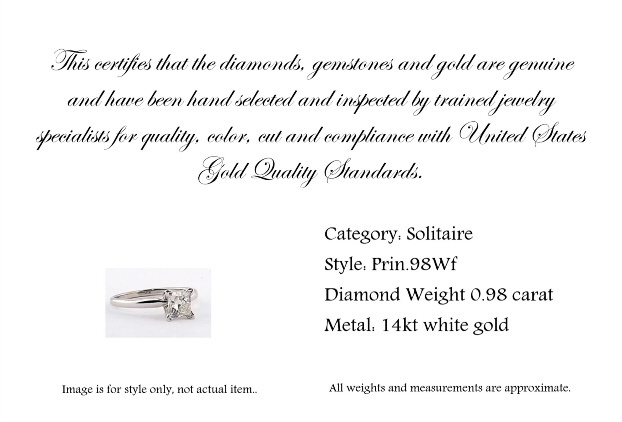 We include a Jewelry Certificate Of Authenticity on every order. This certificate will provide you the comfort of knowing your jewelry choice is authentic for both the stone of your choice and karat weight of the gold. Here is an example of what you will revieve along with a beautiful Free Jewelry Gift Box.